Are you a data fiend looking for a tech-savvy career in an ever-growing industry? 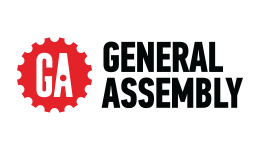 The Data Science Immersive course from General Assembly could be exactly what you’re looking for! Data is everything in today’s tech-driven world. Throughout this 12-week course, you’ll get an expert’s insight into the top techniques and tools used in successful data science, setting you on the path to scoring your dream job in this in-demand field. From developing core technical skills in areas like SQL, data analysis and machine learning, to analysing real-world data sets and presenting your findings through statistics, data modelling and programming, this course will equip you with a strong foundation of skills and knowledge to help you kickstart your data science career. Upon successful completion of this course you will receive a Data Science Immersive qualification from General Assembly. Graduates are prepared to seek in-demand careers in a number of different areas of the growing data science industry. Students will have access to in-house career coaching to assist them in finding work. The fee for this course is $17,500.